The Land of the Long White Cloud! 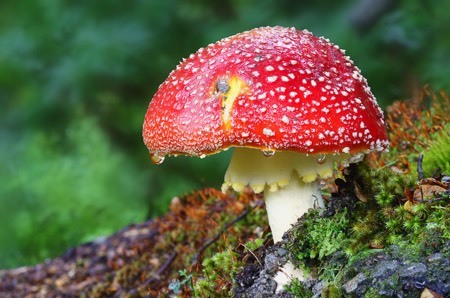 Come along and experience amazing photography in a truly magnificent landscape. 5:30pm meet at our motel in Christchurch for our first get together. This is a great opportunity to meet your fellow adventurers and travelling companions for the next 15 days. After dinner we meet for our first session where we'll present back to basics and assess everyone's skill levels. This will allow Mark to provide invaluable personal guidance over the coming days where necessary. After breakfast we head west for a day of landscape photography with a little wildlife thrown in for good measure. 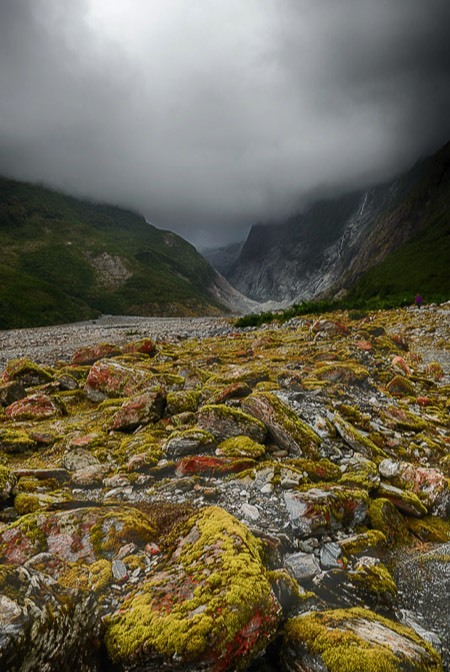 We will travel through the picturesque Castle Hill rocks and up over Arthur's Pass to our accommodation in Greymouth. Along the way we will conduct a waterfall session explaining the techniques required to obtain amazing cascade and waterfall images. We also pass through a known habitat for the gorgeous Kea so it will be bird lenses at the ready for our first wildlife session. 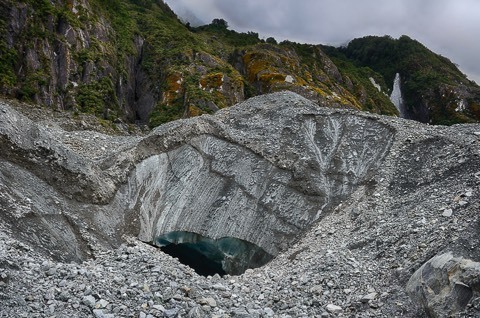 The Devils Punch Bowl and Waimakariri River will provide more spectacular landscape opportunities. Today we head south stopping first at Lake Mahinapua for our first photography session. Here we will demonstrate the use of 'Big Stopper' neutral density filters to good effect, to remove ripples from the water to create a mirror-lake surface. The Whataroa River fed by glacier water, will also feature today. The blue water will captivate you. Along the way you'll have the opportunity to take an optional helicopter flight south over the glaciers. As well as Franz Joseph and Fox Glaciers you'll see many others that are to all intents and purposes, inaccessible other than by air. A stop at Okarito lagoon and a bird walk and then we'll make our way to our accommodation at Franz Joseph Glacier. Today we'll take an easy hike through other worldly terrain to the base of Franz Joseph Glacier and Fox Glacier. The grandeur and scale of these massive flows of ice will astound you. Stay in Haast tonight. Heading further south, today is a day of waterfalls and streams. Hidden gems just begging for your tripod and camera await along our route. 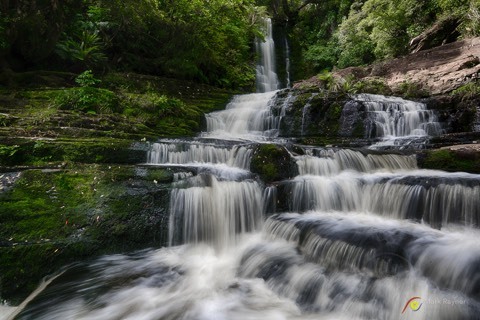 We'll shoot Jimmy's Falls, Haast Falls, Fantail Falls and others before making our way to Wanaka where we will stay overnight. We'll also take a look at Bruce Bay to photograph the area where the streams flow into the sea. Sunset today will be a special treat as we photograph the famous Wanaka Tree. For those who are keen we'll re-shoot the tree after dinner with the Milky Way as our backdrop. Today we'll make our way to Queenstown. Along the way you'll visit St Bathans to photograph the Blue lakes. We'll lunch at a wonderful old hotel in Omakau where there will ample time to photograph the old buildings and farm machinery. Breakfast at one of the many cafes in Arrowtown and then you'll wander and explore the Old Chinese Settlement. Drive towards Glenorchy to access the many lookouts along the way. Scenic landscapes across the water abound and there are a few waterfalls along the way. Near Tea Gardens we'll stop for a bird session where Tui, tomtit and fantail abound along the creek. Heading back through Queenstown, we'll drive to Lake Manapouri for a two-night stay. Sunset across the lake is stunning. 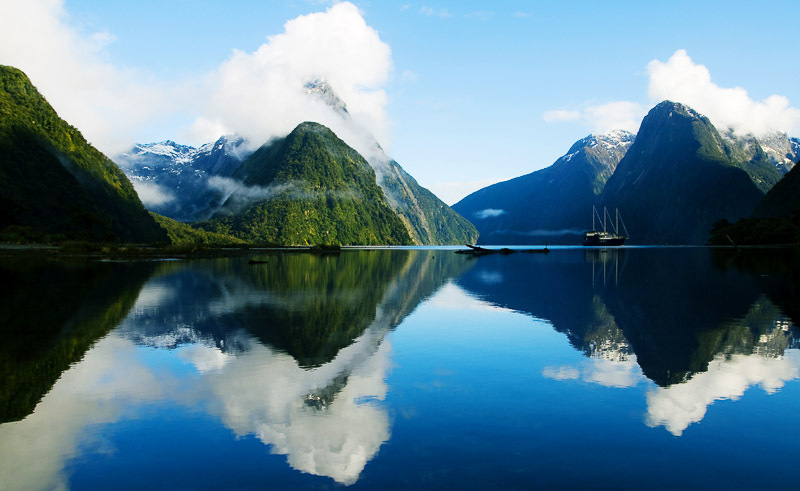 Today we head to Milford Sound for another amazing day on the water. The Mitre Peak boat will get up close and personal to seals along the way and if you’re game you can sit up front while the skipper noses in under one of the huge waterfalls. We'll mind your camera gear while you take your refreshing waterfall shower. An early start for a full day out to photograph Doubtful Sound. Departing at 8:00am we are taken by boat across Lake Manapouri where we are met by a bus and taken to our cruise boat to explore Doubtful Sound. After Doubtful Sound we head south to stay in Invercargill. Before calling it a day though we'll photograph the Penguins as they traverse the petrified forest at Curio Bay. Today we explore The Catlins. 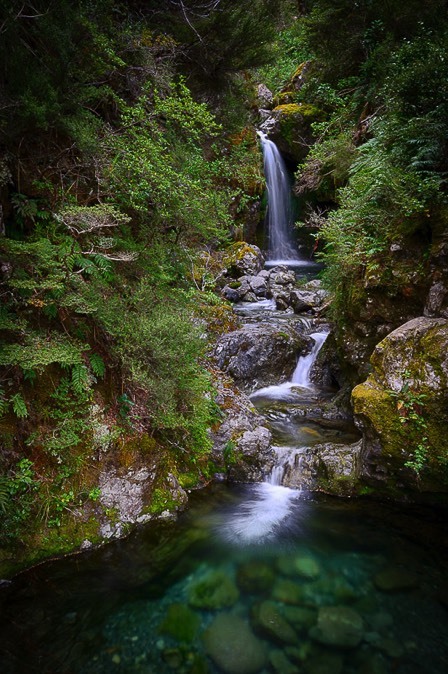 This area abounds in magnificent scenery and yet more waterfalls. Making our way north along the coast we'll overnight in Dunedin. The Otago peninsula Albatross colony is first up today. You'll have the opportunity to photograph these magnificent birds as they soar on the coastal updrafts. We'll take you on an all terrain adventure Eco tour on a private reserve to photograph Penguins and Seals. You'll also have access to magnificent landscape not accessible to the general public. 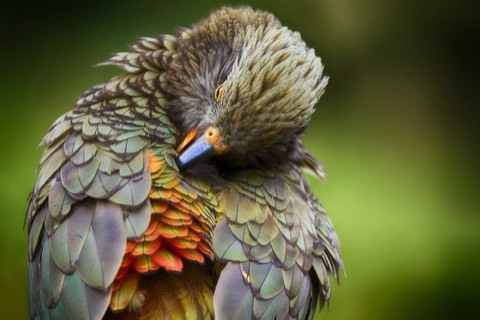 As we head north we'll visit the Orokonui Ecosanctuary (great bird opportunities) before making our way to Moeraki. 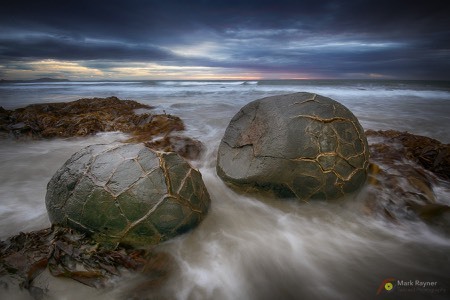 The Moeraki Boulders will be a landscape highlight of your New Zealand adventure. A sunset shoot will see these incredible structures at their best. Overnight at Herbert. After a sunrise shoot of the Moeraki Boulders we'll head back around the point looking for seals and perhaps some penguins. Then we head up to Oamaru to explore this wonderful town. Overnight in Oamaru. 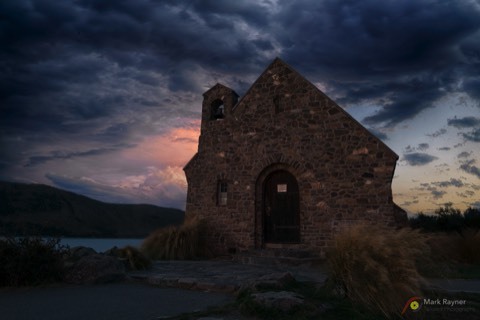 After a second sunrise shoot of the Moeraki Boulders (optional) we'll make our way to Lake Tekapo. You'll get the afternoon off to relax for some well earned R&R and then, after dinner, we'll head over to the Church of the Lost Shepherd. Here you can try your hand at some light painting with the stars as your back drop of this magnificent stone church. Sadly, our last day. Today we make our way back to Christchurch to overnight (included) before saying our farewells. We'll have the opportunity to view some of the amazing images that you have captured over the past two weeks before our farewell dinner. 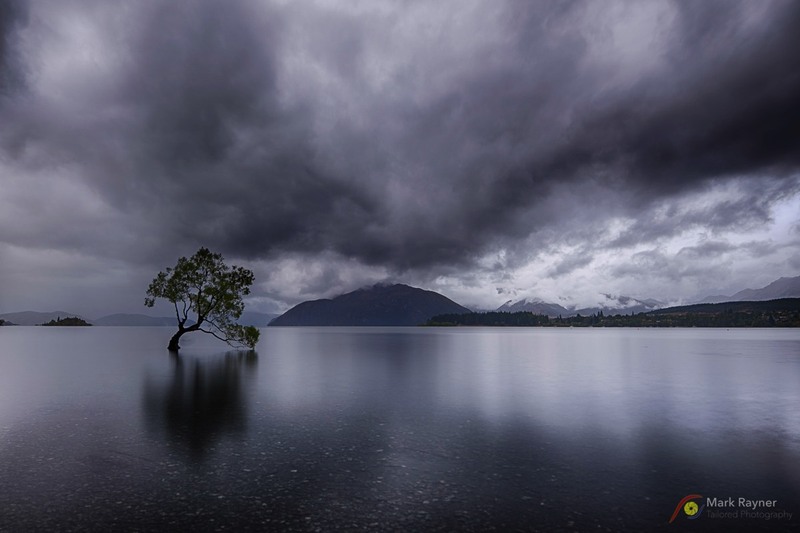 This New Zealand photo adventure will fill up very quickly. We are keeping it to a maximum of 7 photographers to ensure your comfort and access to photography guidance. - All incidental personal items. Travel insurance is mandatory and remains your responsibility. Please get in quick and book your spot today. This workshop is limited to 7 participants. A $600.00 non-refundable deposit is required to secure your position. Final payment must be paid 60 days prior to the workshop.